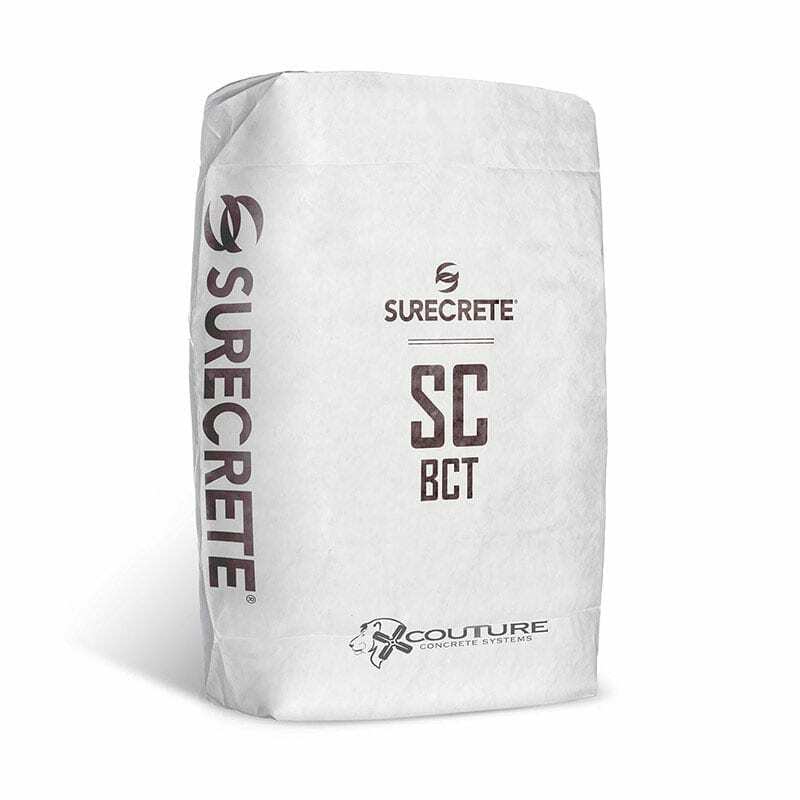 SC-BCT is a specially formulated concrete topping, designed to bond to existing concrete surfaces, and create a high end burnished or polished finish for interior buildings. 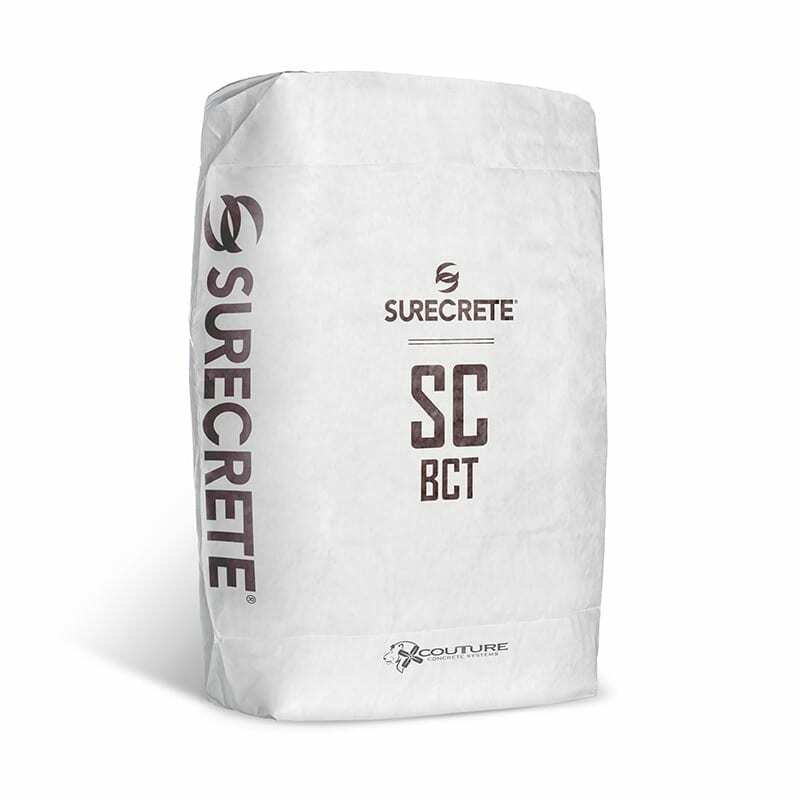 SC-BCT is a concrete topping, designed to be a cement-based overlayment to transform old, spalled or worn-down concrete by eliminating surface defects and increasing wear ability. SC-BCT delivers a high strength surface that can be machine,hand or funny troweled. It is designed to produce a true concrete look that can be burnished or polished. Ideal surface for interior applications, in residential, industrial, or commercial environments. approved respirator for nuisance if threshold limit values are unsafe. a gallon of water to be added later if needed. 3. Thoroughly mix the SC TruColor into the water. 4. Slowly introduce SC-BCT into the mixer. 5. 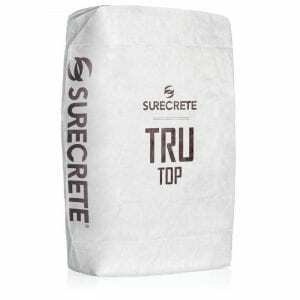 After all, SC-BCT has been added to the mixer, turn off the mixer and scrape sides of the mixer with a margin trowel to ensure all dry product is incorporated into the wet mix. Slowly add the remainder of water if needed. • For use by trained professionals that have read the complete SDS. 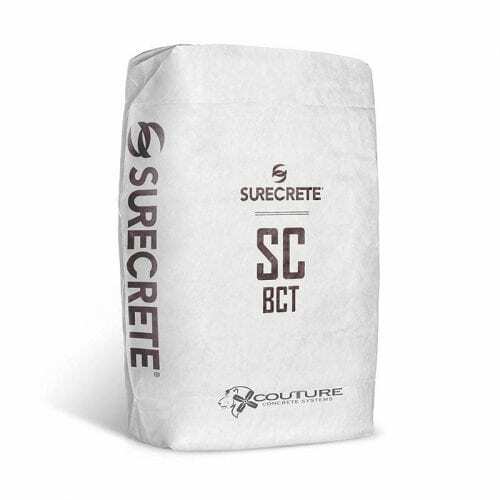 • SC-BCT is formulated for use over concrete that is structurally sound, non-moving and thoroughly clean. • SC-BCT floor system requires a sealer or coating. The limitations of a chosen sealer/coating can have an effect on the finished system. Refer to the TDS of chosen sealer/coating. 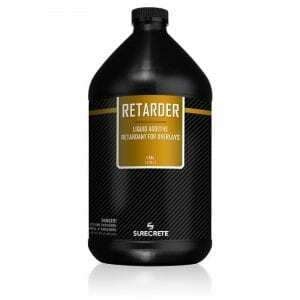 • SC-BCT as with most cement-based products will have cracks or joints in the substrate reflect through. • All substrate joints should be honored and extended up through the full depth of the SC-BCT. The installation must be engineered to allow for expansion and contraction of both the substrate and the SC-BCT. • SC-BCT by itself is NOT designed to withstand harsh chemicals. • SC-BCT may display crazing and or cracking on the surface. 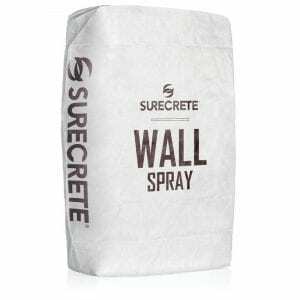 designed to bond to existing concrete surfaces, and create a high end burnished or polished finish for interior buildings.